Though they may not be actively engaged in combat, Army recruiters have one of the toughest jobs in the military. In 2018, US Army recruiters were tasked with enlisting 70k new recruits by the end of the fiscal year. With the Pentagon working to boost the number of active service personnel to 500k by 2024—a five percent increase over current numbers—these quotas are will only increase in the coming years. 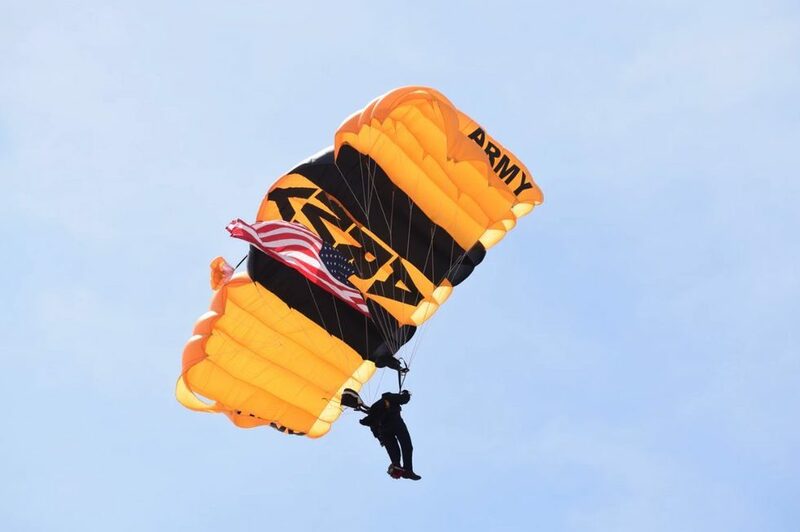 With unemployment at record lows, the US Army has revamped many of its traditional recruiting practices in order to hit these ambitious goals. Many of these same strategies can also be useful to recruiters hiring in the private sector, as the current talent shortage affecting industries from tech to healthcare present similar challenges. Here are four Army recruiting strategies that civilian recruiters can learn from. Sergeant First Class Duggan Myron has a saying: “First contact, first contract.” It’s no secret that high schools are one of the top sourcing-channels for military recruiters, but Myron takes a more proactive approach to finding potential recruits. He contacts faculty, teachers, and guidance counselors ahead of the school year to build rapport, creating channels of communication so that students who have questions about joining the service, or perhaps need career advice, are directed to recruiters for more information. An effective method for recruiters—military or otherwise—to reach the people they want to hire is by being actively involved in their communities. For Army recruiters, this means participating in community events, sports games, and school functions to demonstrate they aren’t simply robots looking to fill quotas. Perhaps your company would consider sponsoring a youth sports team, or throwing a block party. Communities aren’t always geographical; it’s about identifying the places where your ideal hires come together—online forums or networks, colleges, professional groups—and nurturing them. CRM solutions top the list of 2019’s best recruiting tools for enhancing sourcing so that recruiters can attract and hire great talent ahead of demand. After the US Army switched over to a volunteer model in the wake of the Project VOLAR during the 1970s, they began promoting careers within the military. They currently offer 150 different career paths in fields like engineering, law, and medical, as well as unique roles like band officer or culinary specialist. For many, enlisting in the Army is a way to learn vocational skills, travel, and earn a steady income not available elsewhere. According to research from CECP, a coalition that promotes greater corporate social responsibility, organizations that care about social good retain employees 23 percent more than organizations who don’t. Greater employee retention means happier, more engaged, and more productive employees, with fewer open positions. Get to know your candidates and find out what they want in their career path in order to best sell your organization’s benefits and purpose. “The best message to get through to somebody is harsh reality,” said Sergeant First Class Joshua Morrison, and with thousands of US troops currently deployed in conflict areas like Afghanistan, Iraq, and Syria, the Army doesn’t want disillusioned soldiers or early washouts to find out after they enlist that this isn’t the right career path for them. Managing expectations is a daily routine for recruiters, and is hugely important when speaking to candidates. Today’s workers have fewer qualms about leaving a job if they feel the responsibilities or culture was misrepresented. In fact, 17 percent of employees quitwithin their first three months of starting a new job, eating up company time, resources, and creating a poor company image. Gone are the days of patriotic Army posters featuring a sincere Uncle Sam pointing at the reader. At the time, the call to serve one’s country in times of war were enough to drive new enlistment, but that strategy doesn’t work with today’s recruits. In 2015, the Army Marketing and Research Group partnered with McCann Worldgroup to roll out “the Army team” campaign. These 60-second, black-and-white commercials focused on the many aspects of service and sacrifice, while highlighting the virtues of enlisting. No longer focused on the individual, the language used in these ads is more inclusive and pluralistic, and has since established a major presence on social media through hashtag and veteran outreach efforts. Today, the US Army is heavily invested in employer branding, and its efforts to reach recruits goes beyond simply pointing a finger. Modern companies who want to attract and hire the best talent need to find ways of presenting compelling messaging accompanied by a candidate-facing brand that showcases why their organization is where today’s candidates want to work.